Seasons at Prince Creek West is a quaint gated adult community with lots of southern charm. This small community is located in Prince Creek, home of the Tournament Players Club Golf Course. Seasons at Prince Creek West is the perfect setting for active adults to enjoy recreational and social activities. Seasons at Prince Creek West is located near Myrtle Beach, a beautiful beach along South Carolina's Atlantic coast. The community is the home of numerous protected wetlands and ponds which create the perfect backdrop for daytime strolls or evening front porch chats with friends and neighbors. Two public boat ramps near the community provide residents access to the waterway for fishing and boating. The Tournament Players Club Golf Course neighbors Seasons at Prince Creek West. It is the only PGA tour facility in South Carolina. Active adults can enjoy world class golf and fine dining at the restaurant. This active adult community was started by Levitt & Sons in 2004, but was acquired by Dockstreet Communities in 2009, and finished in 2017. Seasons at Prince Creek West has 460 well constructed single-family homes ranging in size from 1,593 square feet to 2,500 square feet. There is a wide range of architectural style in these resale homes. Many homes back up to preserved wetlands or ponds. All homes have a two-car garage. This master-planned community has a variety of neighborhoods. These quality homes exhibit southern comfort with screened-in porches, pristine lawns and their low country style. Residents of Seasons at Prince Creek West have more time to enjoy their favorite pastimes as well as explore new hobbies. Popular clubs include garden club, book club, and cooking club. Social activities like happy hour, themed parties, fundraisers, and lunch outings make it easy to get to know new neighbors. Whether attending a guest lecture, learning how to knit, or taking up a dance class, there's always something new and exciting happening within Seasons at Prince Creek West. Seasons at Prince Creek West is 15 miles south of Myrtle Beach, a popular seacoast resort. It's a short drive from Seasons at Prince Creek West to outlet malls, cultural activities and flea markets. Active adults can invite their grandchildren to Myrtle Beach's popular amusement parks, water parks or the beautiful beach. Myrtle Beach International airport is close by as well. 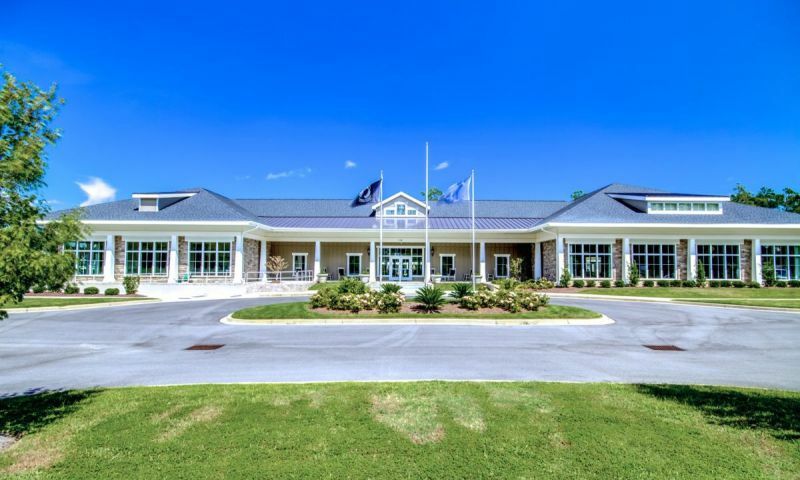 Active adults can catch a game of golf at Tournament Players Club Golf Course right next door or explore historic Charleston, South Carolina, just 70 miles south of Seasons at Prince Creek West. Seasons at Prince Creek West is just minutes from Murrells Inlet, a quaint historic fishing village. Murrells Inlet combines recreation and artistry in a unique way. Residents can enjoy deep sea fishing, canoeing, kayaking and waterfront seafood restaurants. The grandchildren will love the family boat tours that explore the inlet and saltwater marsh. Brookgreen Gardens, a National Historic Landmark, is a short drive from Seasons at Prince Creek West. These beautiful gardens contain a unique collection of figurative sculpture plus the only zoo accredited by the Association of Zoos and Aquariums in the Carolinas. Seasons at Prince Creek West is wonderful community just minutes from state-of-the-art health care facilities, wellness centers, hospitals, shopping centers and many other businesses. There are plenty of activities available in Seasons at Prince Creek West. Here is a sample of some of the clubs, activities and classes offered here. The Dynasty Series offered three models. Now available on a resale-only basis, these homes have two bedrooms, a den, and an attached two-car garage. The Majestic Series includes new and resale homes that have between 1,720 and 2,064 square feet in size. These homes have two or three bedrooms, two bathrooms, and an attached two-car garage. The Phoenician Series includes five models that are found as new construction or previously owned homes. These are the largest homes in the neighborhood that offer between 2,124 and 2,501 square feet of living space with two or three bedrooms, two bathrooms, and an attached two-car garage. It is a nice community, but changing in the time I have lived in the area. The houses have significantly increased in price along with a high HOA. I have met many several people while taking dog walks. However, they have recently become very closed off from the rest of the Prince Creek Community. No outsiders are permitted to enter the gates. No trespassing signs have been posted. Anyone walking in their neighborhood will be asked to leave by rather rude residents. I WAS a resident of this community....just sold after 18 months....be very, very careful. After getting very ill, found mynew home was built with moldy lumber. Very clicky community. Not quite sure the people running it know what they are doing yet. I've noted the resales are way up as people are getting more dissatisfied. We are very happy!! Went to a few events, met very nice people and love our new home. We are still new here, to have only moved in late August, but enjoying it so much. We couldn't be happier with our decision to move here. The community feels safe and private because it is gated and although it's on the small side, the clubhouse has everything! The amenities are all very nice and well maintained by the staff here. They are fantastic! I use the fitness center, the pool, the tennis courts and the game room multiple times a week. It's great having everything within walking distance of our home. 55places.com is not affiliated with the developer(s) or homeowners association of Seasons at Prince Creek West. The information you submit is distributed to a 55places.com Partner Agent, who is a licensed real estate agent. The information regarding Seasons at Prince Creek West has not been verified or approved by the developer or homeowners association. Please verify all information prior to purchasing. 55places.com is not responsible for any errors regarding the information displayed on this website.